Oh yes, Doctor Who just got even better! This could be considered a controversial season, as from the very beginning there has been a division of opinions about the “new” style of the show. Mostly, this backlash has come from people who cannot conceive an older Doctor who doesn’t get romantically involved with his companions. That is simply a bunch of nonsense. I, for one, discovered Doctor Who when I was 15 thanks to its reboot and up until then I hadn’t watched the classic Who, because it wasn’t broadcast in Spain and online streaming wasn’t really a thing back in 2005. But getting back to the point, what I am trying to say is that as soon as the show conquered my heart, I started researching about the old one and watching some episodes and reading books about it, which is probably what all those people complaining should do, so that they can see with their own eyes that, originally, the Doctor was indeed a man with wrinkles on his face who doesn’t get romantically involved with his companions. And Capaldi is a superb actor and anyone who says the opposite is dead inside. The end. Okay, so now let’s talk about ‘Dark Water’! That was splendid, fantastic, poignant and unexpected! Because I was hoping the Master would show up during the finale (Charles Dance? Arthur Darvill?) but I did not see that Missy/Mistress thing coming. But I will start from the beginning, Danny’s death. It was clearly a shocking twist that changes everything, and perhaps a necessary one? I honestly love Samuel Anderson’s Danny, but he was hindering Clara’s travelling with the Doctor and I didn’t see him too keen to become the new Rory. 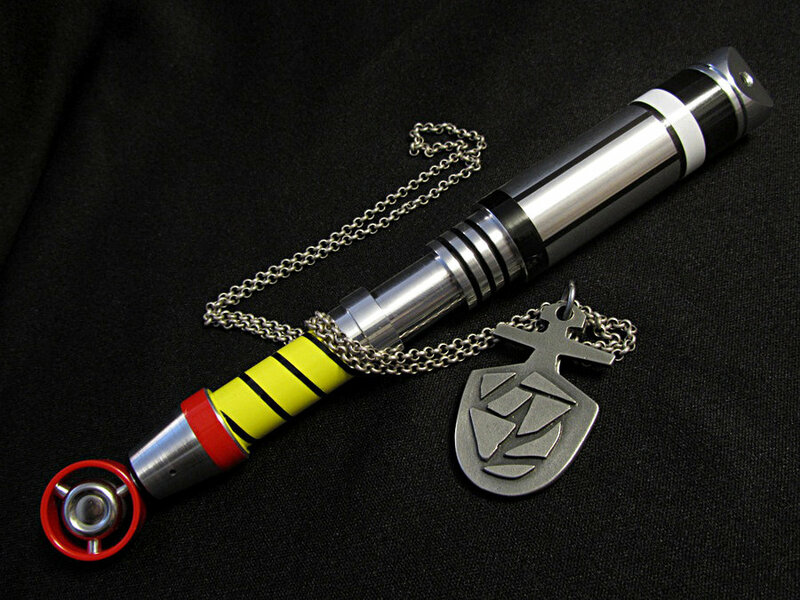 And if Jenna Coleman is leaving in December, this is the detonator. To be fair, after all the fights and disagreements between Clara and the Doctor this season, it looks as if Danny had to die to make their friendship stronger, thanks to some heartrending scenes that displayed Capaldi and Coleman’s acting chops. But this first shock, Danny dying, introduced us to the second one of the episode, the reveal of the Nethesphere, Missy and her army of zombie Cybermen! To all of that I will only say: yes. Moffat gave us an intriguing look of what the afterlife (or simply another life more) is, with some creepy, scary scenes which only proved what I have been saying for weeks: Doctor Who is NOT for kids. The “don’t cremate me” moment perturbed me and I am 26 years old, so I can imagine I wouldn’t have slept for a week if I was a 10-year-old watching it. So the dead people were caged inside the dark water to hide the cybermen exoskeletons (very clever) and as soon as the Doctor realised what Missy’s plan was, he ran outside to find out that he had been in St Paul’s Cathedral all along and that dead people all around the world would rise from the dead to begin a cyberman/zombie apocalypse that means the next episode of Doctor Who should just be World War Z. And then Missy told the Doctor the biggest cliffhanger yet: Missy was short for Mistress, because of course a woman shouldn’t be named the Master. And that is how ‘Dark Water’ ended, with the reveal that John Simm has morphed into a villainous Mary Poppins who is willing to raise an army of undead just to, as usual, piss off the Doctor. -Another heart-breaking moment of the episode: when Danny, knowing that Clara will commit suicide to be with him if he confirms it’s really him, says ‘I love you’ again so that she ends the call. Doctor Who, stop making me cry so much. -Speaking of Danny, I also guessed weeks ago that he had killed a kid by accident when he was a soldier (because I am astonishingly smart). My bet is that the kid will prevent Danny from deleting his feelings. -The day they were filming in St Paul’s Cathedral I was ten minutes away and I didn’t go to snoop around, so I will never forgive myself for missing that chance! 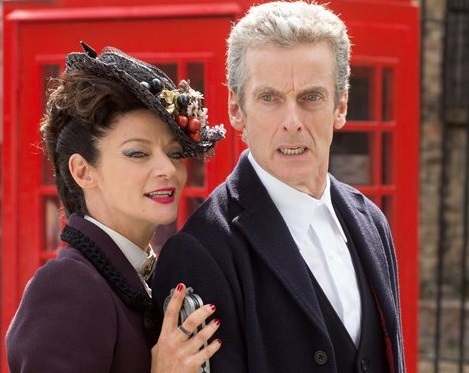 Also, I vividly remember it was one of the hottest days I have ever witnessed in London, so kudos to Gomez and Capaldi for wearing heavy suits with long sleeves on a day like that. -One of the TARDIS keys was hidden in a copy of The Time Traveller’s Wife, a book that has always reminded me of River Song and Eleven. -Clara’s birthday is November 23rd. Did they do that only as a wink or it there a bigger meaning behind it? -I cannot stress enough how important a composer’s contribution is. Murray Gold’s melody for the Cybermen is heard briefly along with the first visual hint, and it instantly tells your brain what is going on. 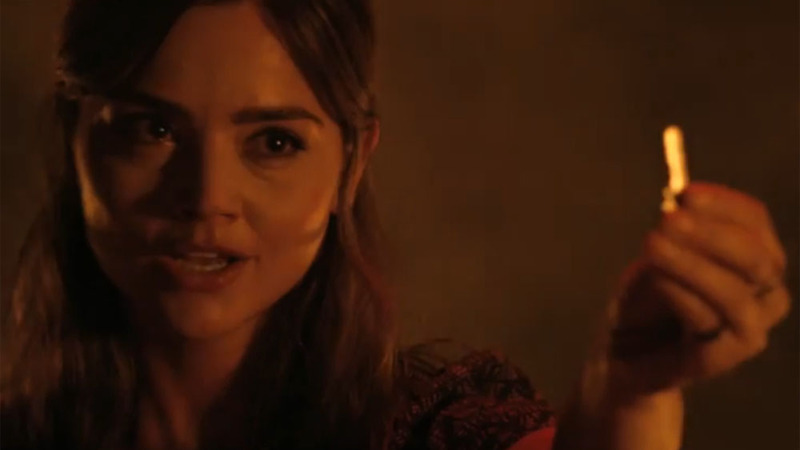 -I’m confused: had Clara actually thrown away the keys, would it have really mattered? I thought he was able to open the TARDIS with a snap of his fingers. -“Why is there all this swearing?” “Oh, I’ve got a lot of internalised anger.” See? I knew the Doctor had chosen that face because of Malcolm Tucker! Concerning your point about the TARDIS keys, the whole thing was just a dream sequence, so it really didn’t matter. Still, it would have been funny to see the Doctor just click his fingers and open the door. Had it been real, I was really hoping to see him doing that right after Clara had thrown away all the keys. It would have been quite humorous (but possibly out of place after such a heartbreaking scene). Great review – I loved it too! Can’t wait for next week’s!